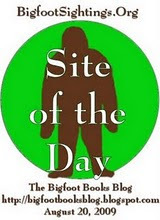 BIGFOOT'S bLOG: ANGRY BIGFOOT. Me Say Me Write Blog Now! ANGRY BIGFOOT. Me Say Me Write Blog Now! EGADS. Sometimes I wonder: WHY DO I EVEN DO THIS ANYMORE? I mean, where is the reward? Who is paying me to do this? What do I get from it? Why should I do it when all I get for it is a load of hassles and hyper-defensive attacks from trolls, as well as other more disturbing threats, hoaxes, blobsquatches and jokers every damn day? I have received threats of death and violence, harassment, snooping from spies and enemy factions, and threatened lawsuits... over Bigfoot. 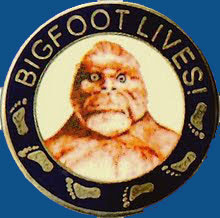 It's BIGFOOT, folks, not religion or politics! What does one do when a fun little hobby and curiosity turns into something really quite sinister and disturbing? Someone out there please do tell me... WHY? Give me at least one good, redeeming reason, please! Otherwise, seriously folks, I'm defecting to UFOlogy. I cannot really laugh anymore at slander, gossip, rivalries, threats, cryptic notes passed under my door, bizarre phone messages, anonymous spying emails and Facebook creeps, accusations of libel when I have only spoken philosophically or critically about ideas, legal threats in general, macho repressive dicks who find books and intellectual pursuits "gay" or whatever, paranoid conspiracy theories, ignoramuses who could not think their way out of a paper grocery sack, people who function with irrationality first and for whom reason is seen as regressive, etc. etc. etc. And ah, the all-too-human ingratitude, the lack of respect and civility! I am done doing things the way I've been doing them. The blog will change into something else, and it will seek a type of justice for all of this stupid misery I've had to deal with, by being above it all, and tearing down the mountains of universal human bullshite. OK. Me Bigfoot. Me say WORD, me post this, me signing off. Try to find me. You won't.